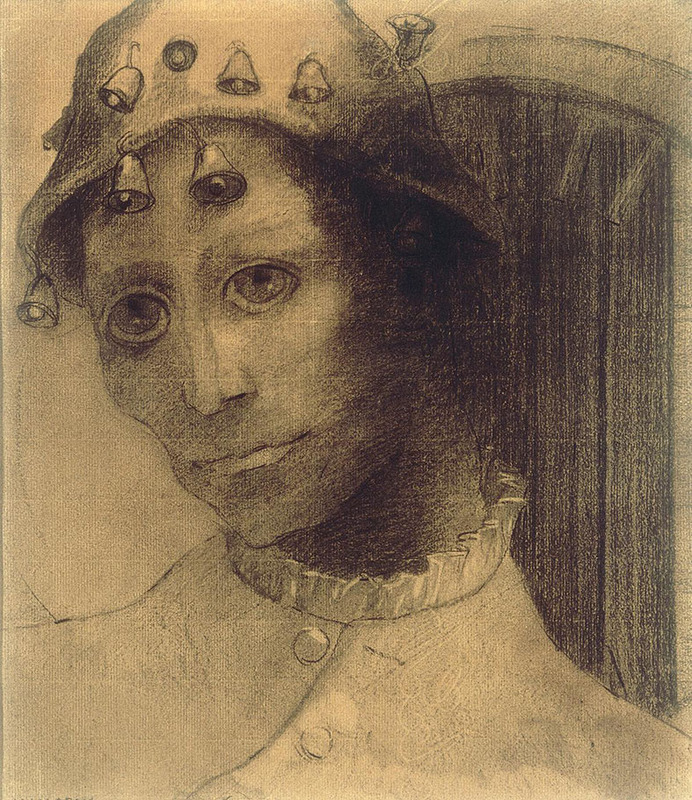 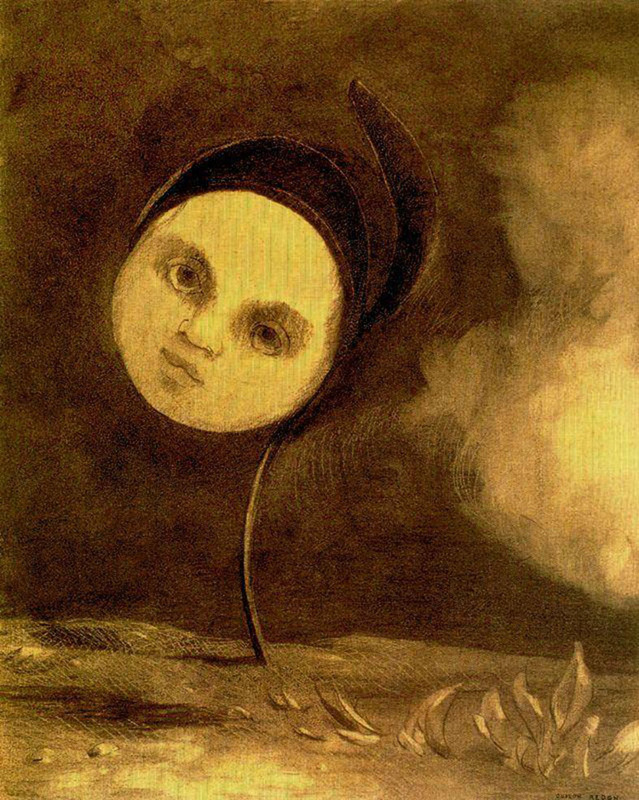 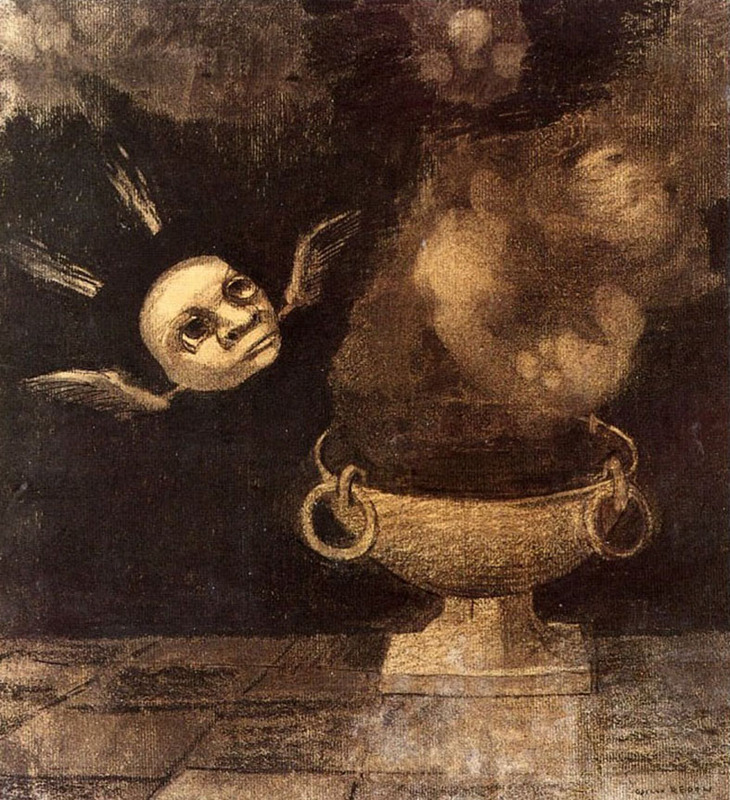 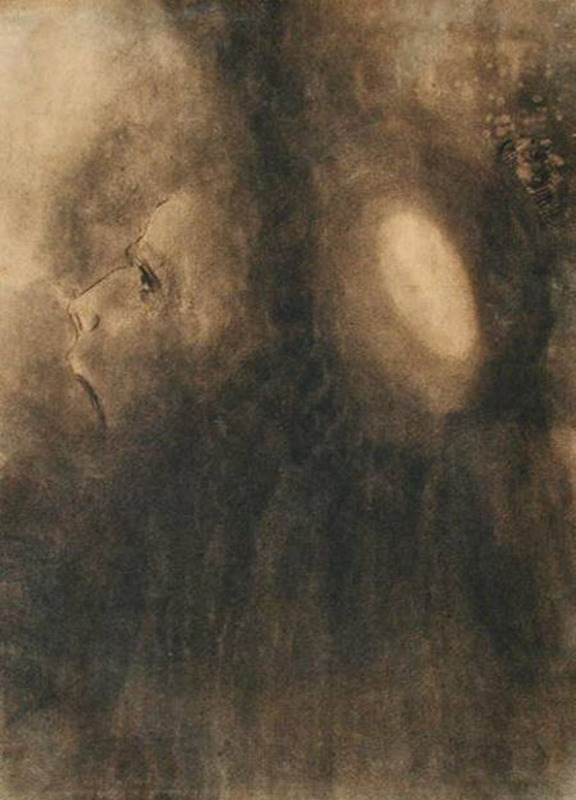 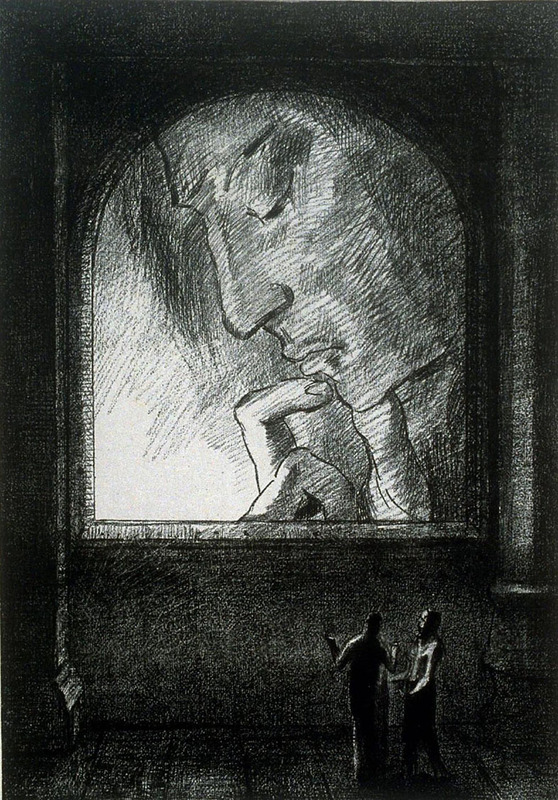 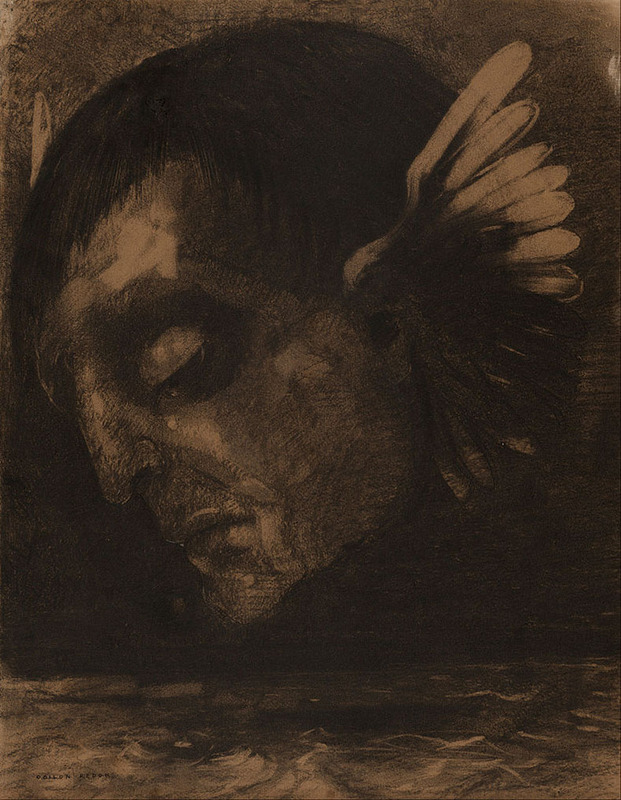 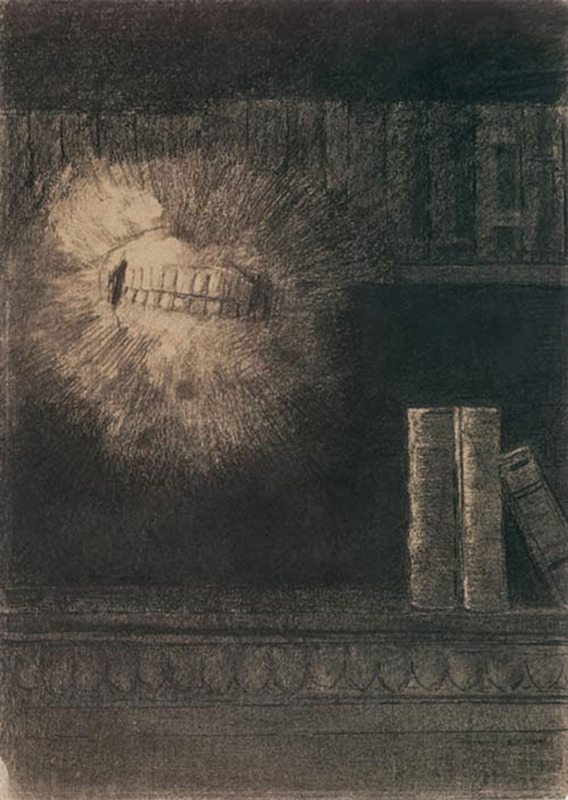 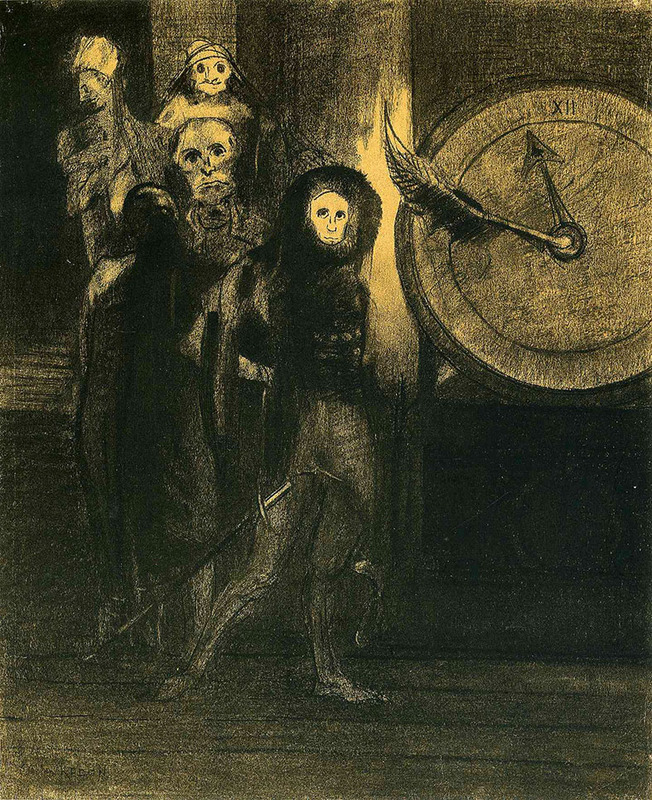 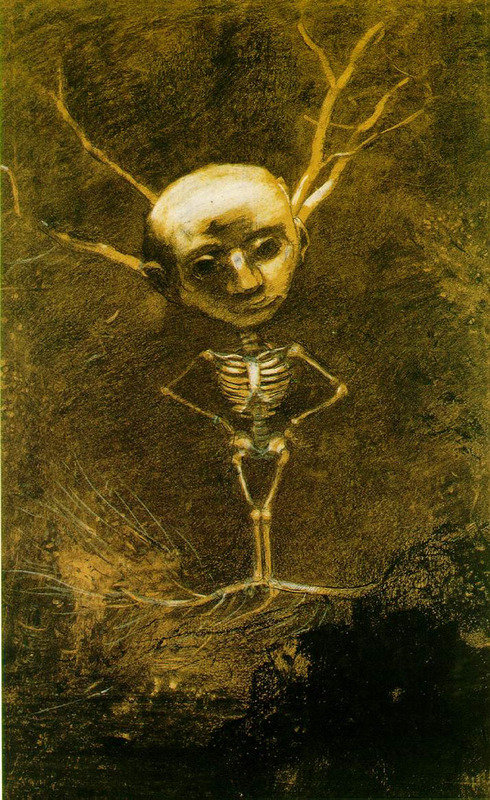 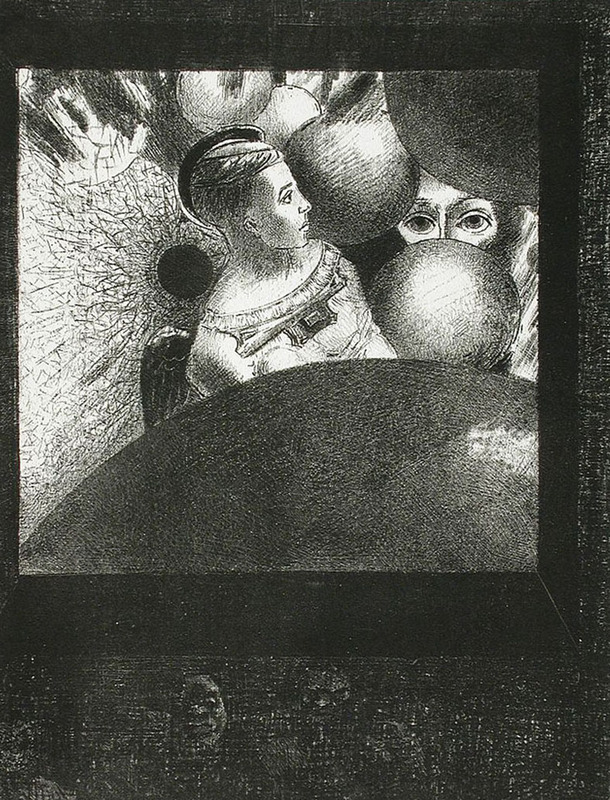 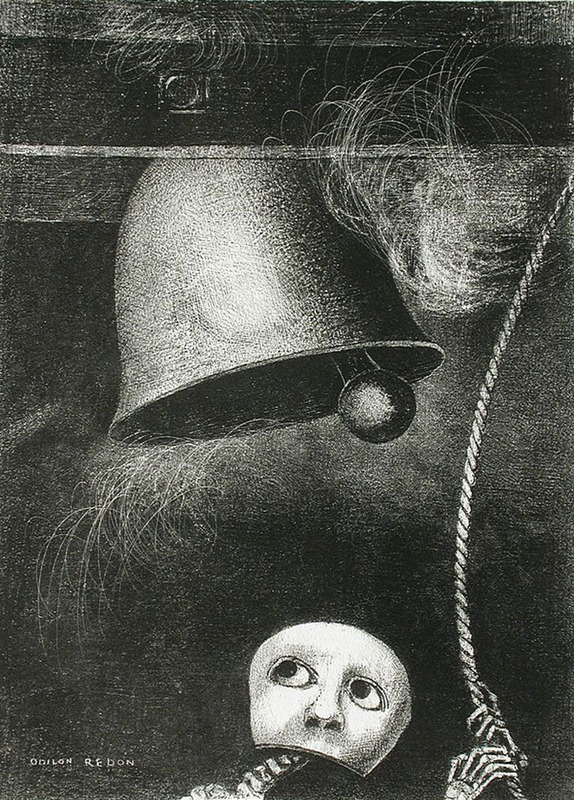 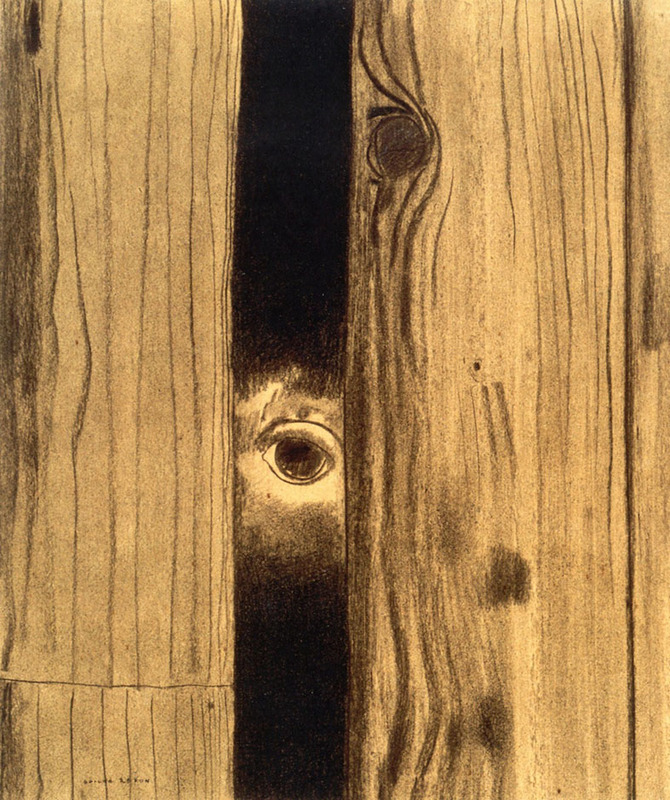 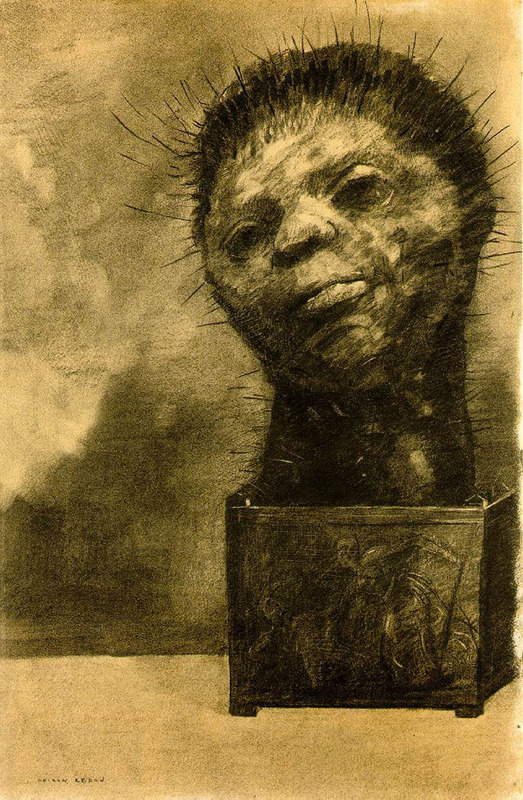 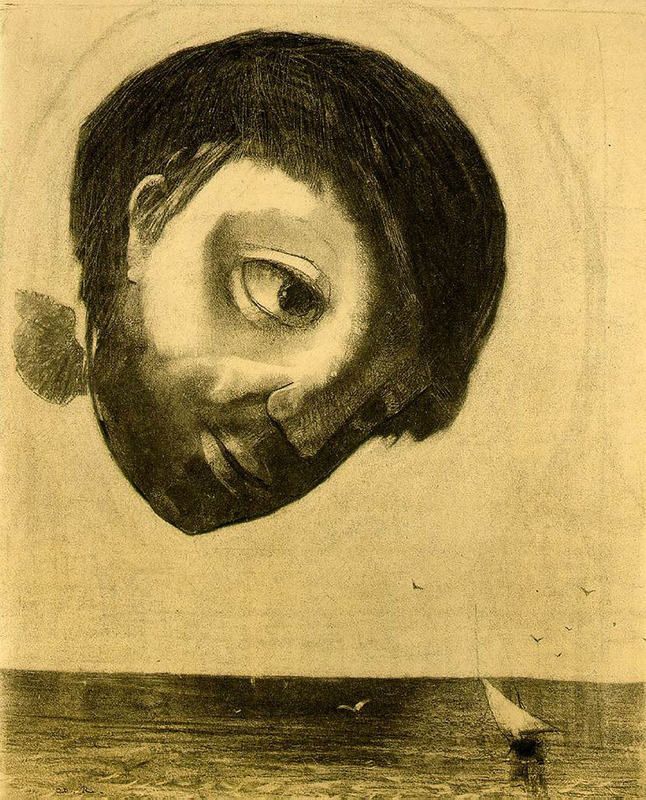 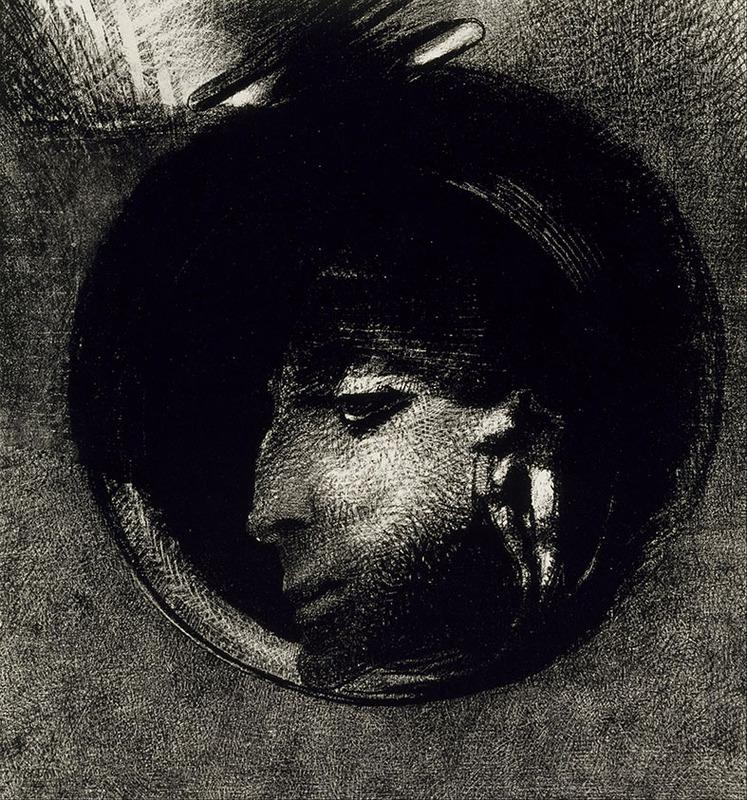 “Standing outside trends and movements, Odilon Redon, a native of Bordeaux, produced a rich and enigmatic corpus: ‘Like music’, he declared, ‘my drawings transport us to the ambiguous world of the indeterminate.’ In contrast with Goya’s monsters and Kubin’s nightmare visions, his work is imbued with a melancholy passivity. 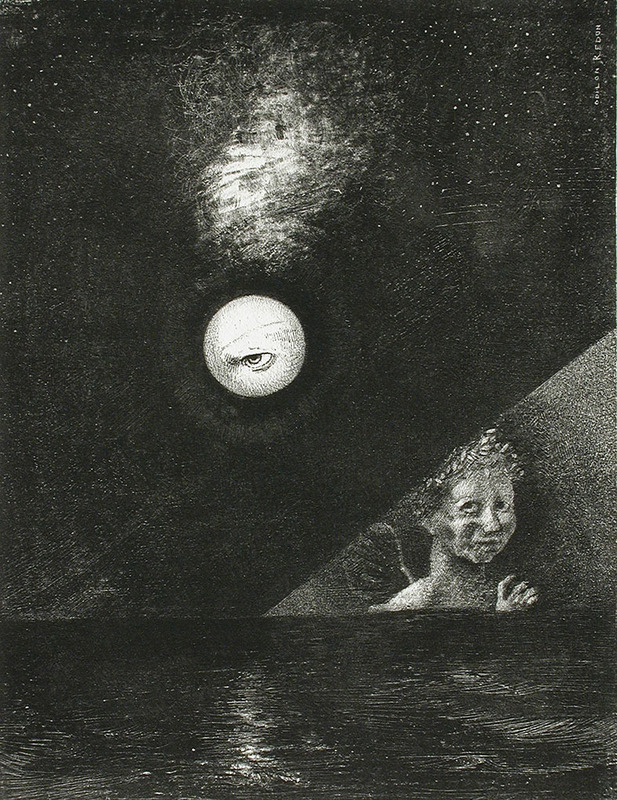 While origins of this disposition must be sought in the artist’s experience, the overall effect is entirely consistent with the moods of Symbolism : nocturnal, autumnal, and lunar rather than solar. 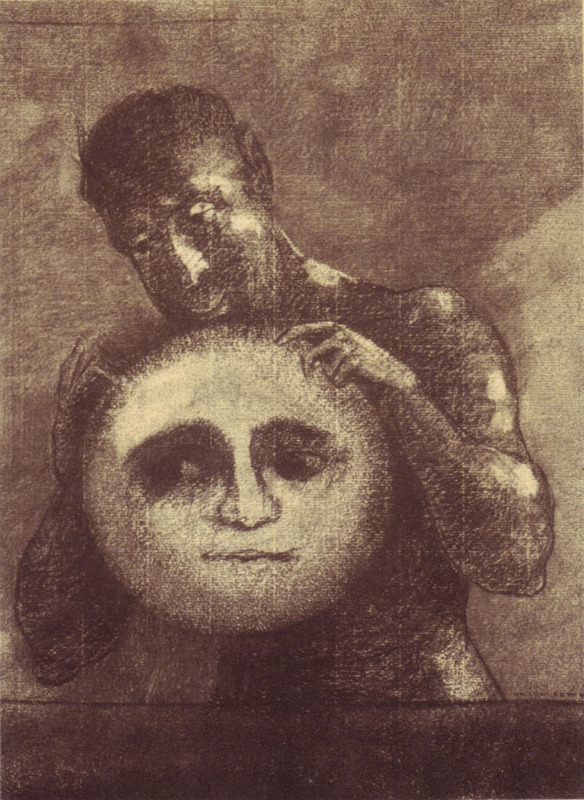 During the early part of Redon’s career, the nocturnal did indeed predominate. 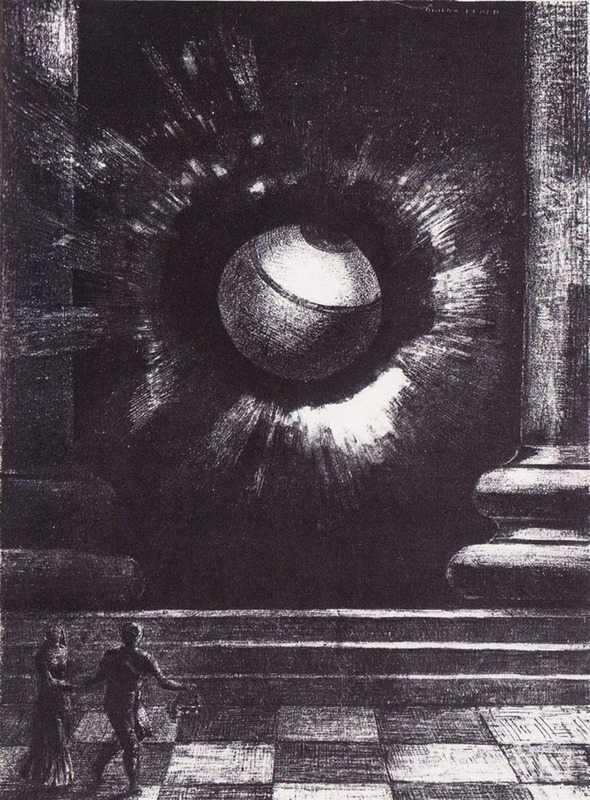 Only later did he admit the light of day. 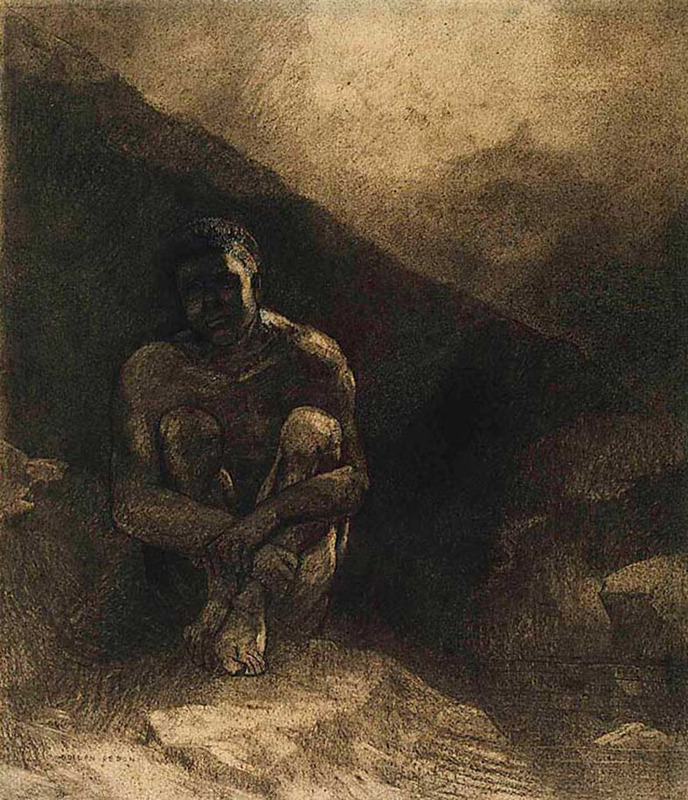 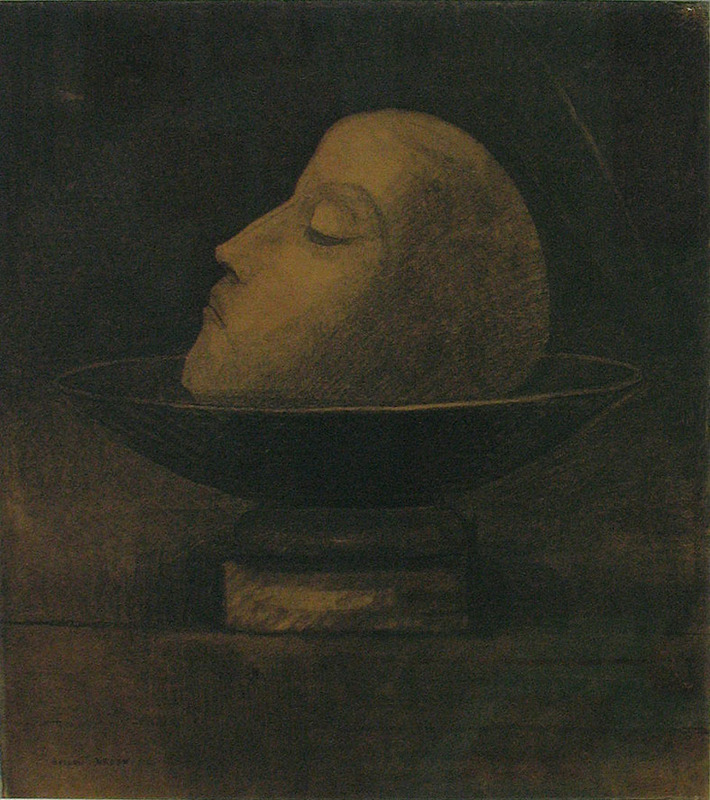 His mature production began around 1875 when Redon entered the shadowy world of charcoal and the lithographer’s stone. 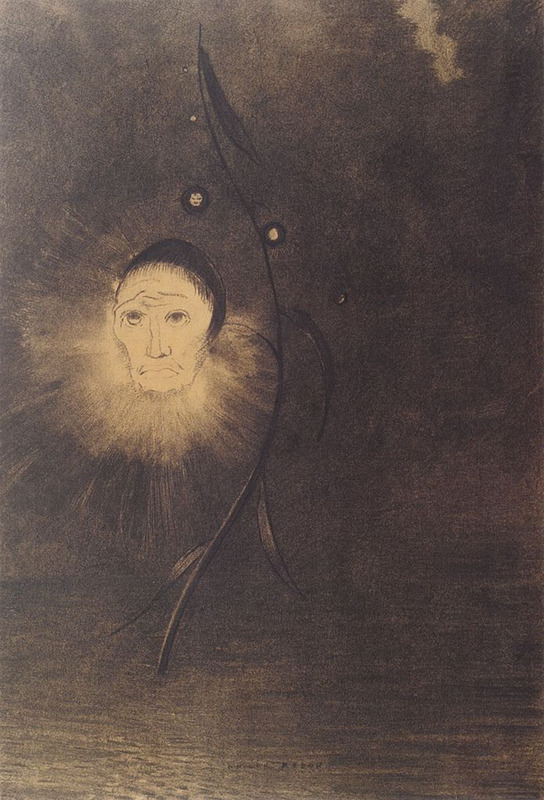 This period yielded sequences such as [Guardian Spirit of the Waters (1878)] and [Cactus Man (1881)]. 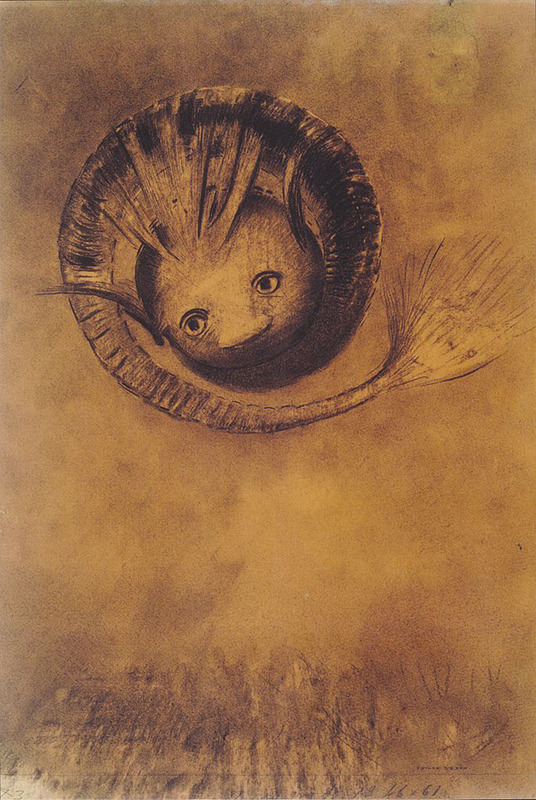 Redon made it clear that they had been inspired by his dreams, and they inspire in the spectator a conviction like that of dreams. 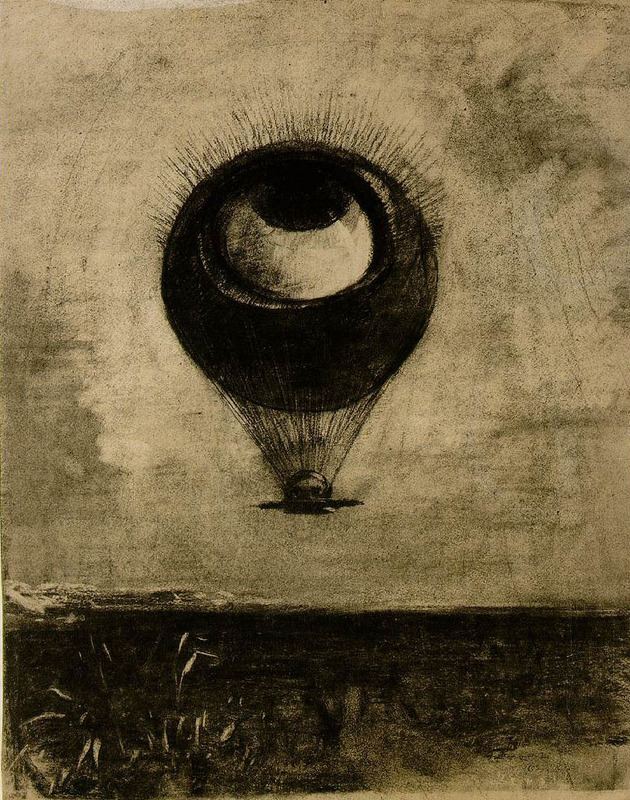 “It was only in the 1890s that he began to use the luminous, musical tones of pastel and oils. 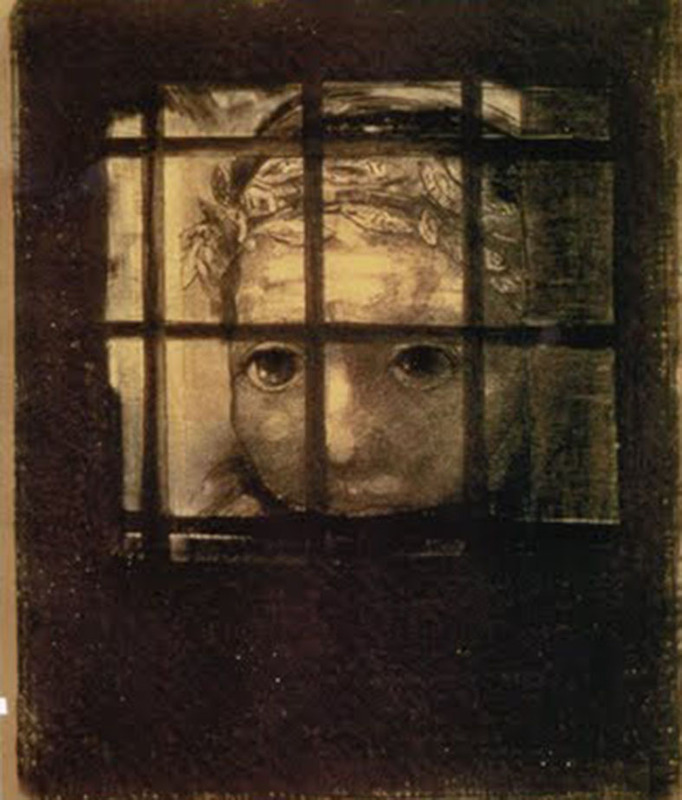 These became the dominant media of the last fifteen years of his life. 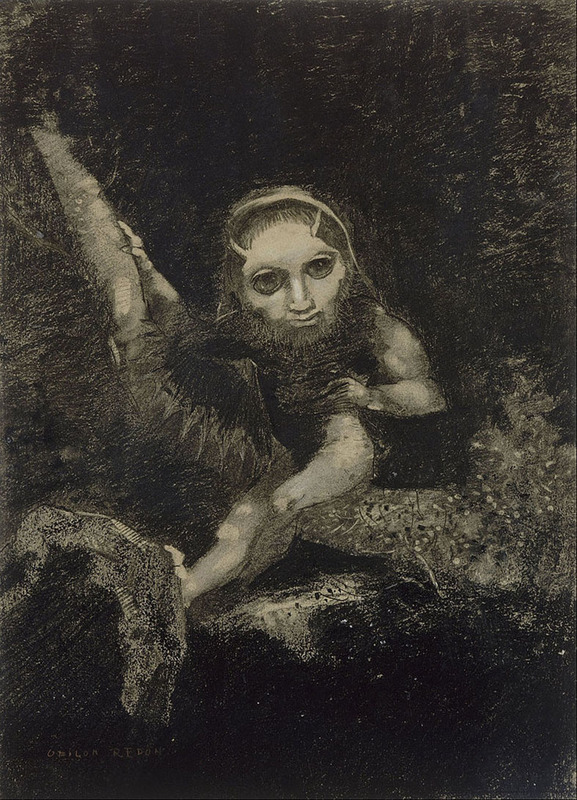 Redon’s art was always commanded by his dreams, but the thematic content of his work over his last twenty years is more densely mythical, brimming with newfound hope and light which rose quite unexpectedly out of the depths of the artist’s personality. 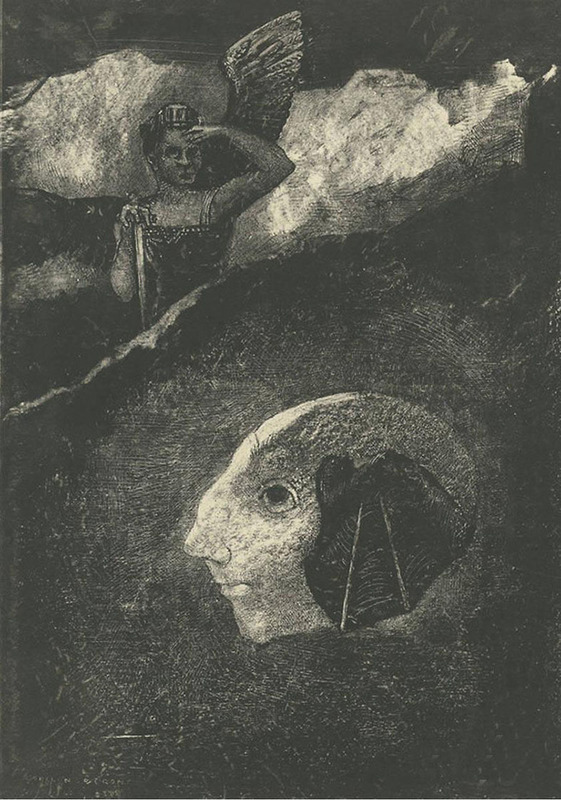 – From “Symbolism”, Michael Gibson.